When we talk about Android, Samsung is the leading brands to promote and bring Andriod based Phones and Tablets in India. Google joining hands with Open Handset Alliance which includes Samsung Electronics has together brought Samsung Galaxy Tab 750 this time. This gives its users a full Operating System support(from Google) and hardware support(from Samsung). Samsung Galaxy Tab 750 was launched on 10th August 2011 in India and am sure you might have watched the Webcast of the launch in my previous blog. It was a buzz in the market as users were too much excited about the Galaxy Tab. 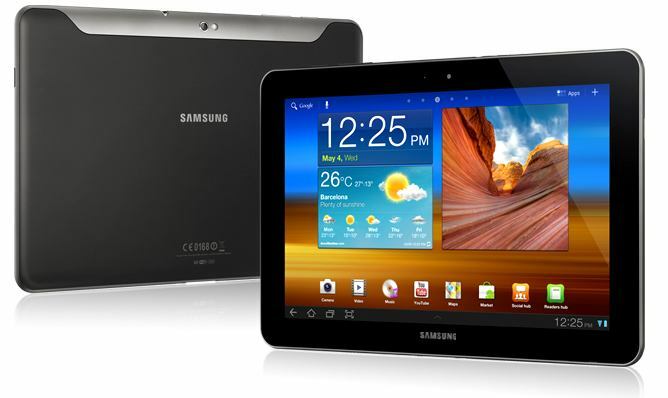 This Samsung Galaxy tab 750 is very much powerful than its earlier version. It comes with inbuilt dual speakers which enhances the experience of sound while playing music, movies and videos. It has dual core processor to support smooth running of applications and games in Andriod’s multitasking environment. The Tab doesn’t have inbuilt USB port but Samsung provides optional adapter to plug in. Comes with latest Andriod version – Honeycomb. Gives split view and multitasking support for applications. Dimensions are : 256.7 x 175.3 x 8.6mm(10.1 x 6.9 x 0.39 inches). 1GB (RAM),16/32/64 GB (ROM), micro SD (upto 32GB). 1Ghz dual-core NVIDIA Tegra 2 Processor. Video formats supported are MPEG4/H263/H264,Divx/Xvid. Playback of 1080p Full HD Video @ 30fps. Records up to 720p HD Video. Audio formats supported are MP3, AAC, AAC＋, eAAC＋, OGG, MIDI, AMR-NB/WB. It also has built-in 3.5mm Ear Jack, Surround Sound Stereo Speakers. Google Mobile Services available like Google Talk Video Chat, Google Maps, Books, etc. Thanks Deepak!! Liked the comparison with other tablets in your blog. Thanks a lot with this write-up. Wonderful! Thanks and visit again for such articles! thanks for comment. Revisit again for more updates! « Tools to create a virus!